The globalization of commerce carries with it significant biological risks concerning the spread of harmful organisms. International Standards for Phytosanitary Measures (ISPM) No. 27, “Diagnostic Protocols for Regulated Pests”, sets out the standards governing protocols for the detection and identification of plant pest species. 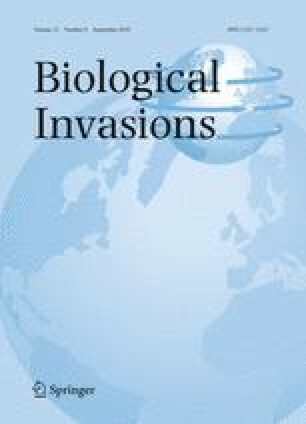 We argue that DNA barcoding—the use of short, standardized DNA sequences for species identification—is a methodology which should be incorporated into standard diagnostic protocols, as it holds great promise for the rapid identification of species of economic importance, notably arthropods. With a well-defined set of techniques and rigorous standards of data quality and transparency, DNA barcoding already meets or exceeds the minimum standards required for diagnostic protocols under ISPM No. 27. We illustrate the relevance of DNA barcoding to phytosanitary concerns and advocate the development of policy at the national and international levels to expand the scope of barcode coverage for arthropods globally. We acknowledge funding support from the Ontario Centres of Excellence (OCE) research program, the Ontario Ministry of Agriculture, Food and Rural Affairs (OMAFRA), the Canadian Food Inspection Agency (CFIA) and the Canadian Forest Service (CFS). Additional support was provided by Flowers Canada Ontario (FCO) and the Ontario Greenhouse Vegetable Growers (OGVG) through contributions from Canada and the Province of Ontario under the Canada-Ontario Research and Development (CORD) program, an initiative of the federal-provincial-territorial Agricultural Policy Framework, administered by the Agricultural Adaptation Council on behalf of the province, a University of Guelph Faculty Research Assistance Award (to JL), a Forest Investment Account—Forest Science Program Student Grant and an NSERC Graduate Scholarship (both to JdW). We also acknowledge contributions from the Canadian Greenhouse Conference, the Ontario Soybean Growers, the Ontario Wheat Producers’ Marketing Board, and the Forest Investment Account Forest Science Program. This research was also supported through funding to the Canadian Barcode of Life Network from Genome Canada (through the Ontario Genomics Institute), NSERC and other sponsors listed at http://www.BOLNET.ca. For comments on the manuscript and other helpful discussions we thank Eric Allen (NRC, CFS), André Levesque (AAFC), Scott E. Miller (NMNH), Paul Hebert & Vernon Thomas (University of Guelph), Dan Simberloff (UT Knoxville) and two anonymous reviewers. Robert Dooh (CCDB, University of Guelph) produced the original version of the image modified by us for Fig. 1.